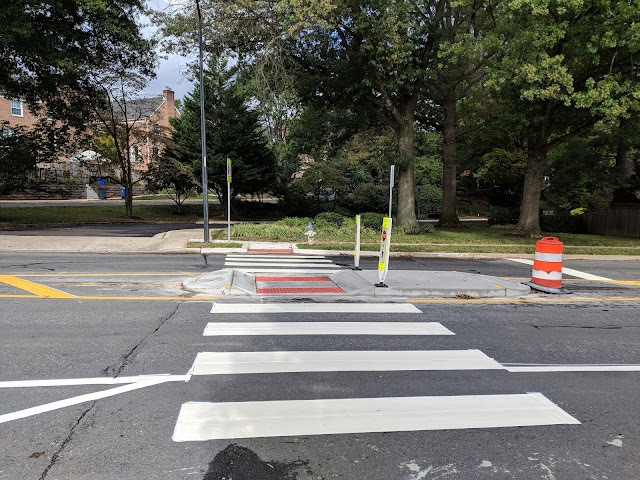 There is a mid-road pedestrian refuge as well as a wide striped crosswalk and new curb cuts. One possible issue is access to the driveway into the residental development. Currently with the construction barrel, cars have to start the turn well in advance of the driveway. However, even when the barrel is cleared, cars will have no choice but to turn across an area of the road that has been painted to disallow car access. In the picture above you can see how far in advance the car has to cross to get to the driveway. 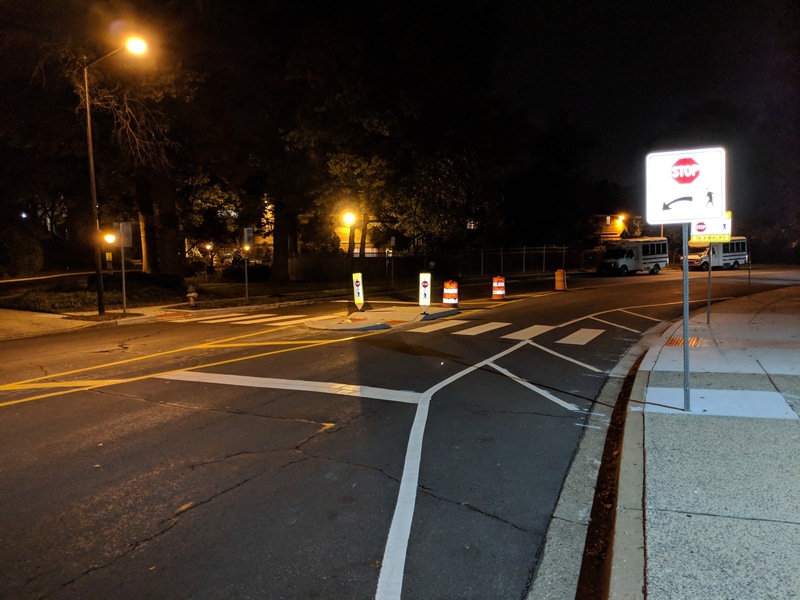 Even at night, visibility around the crosswalk is good due to it being directly under a street light. 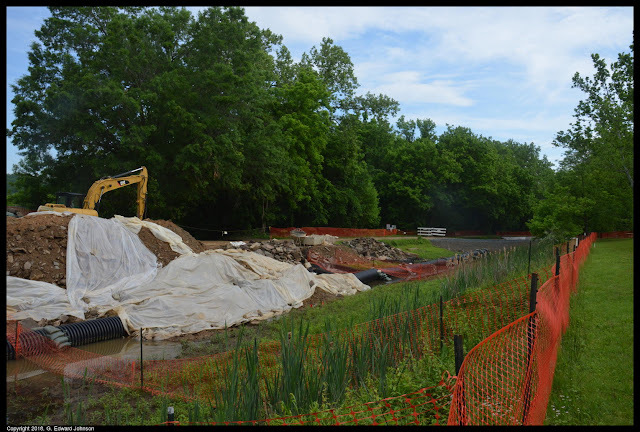 There is ongoing construction work fixing up the canal between locks 5 and 22. I was at Great Falls this weekend and saw what work is being done there. The entire project started last winter and will continue through next spring, however I don't know when the work around the tavern will be done. 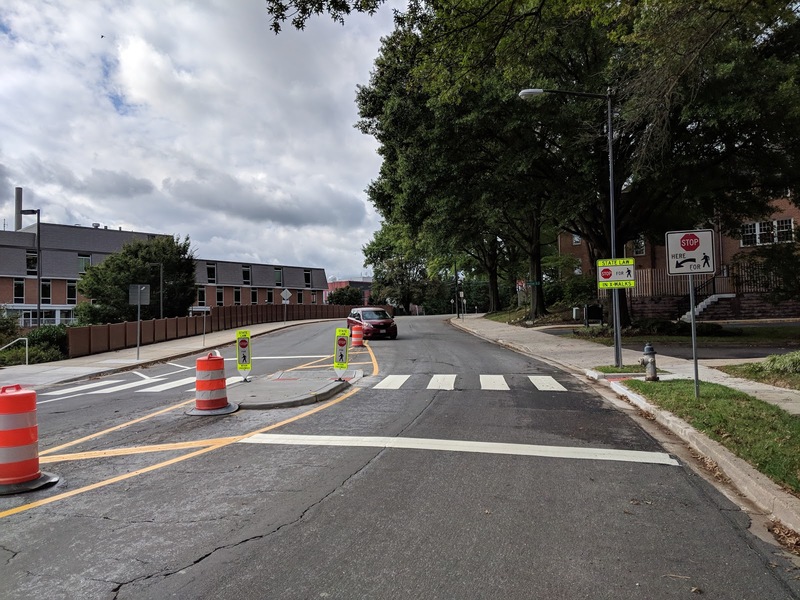 Even with the construction, the area is still open and usable, so don't let this keep you from going. 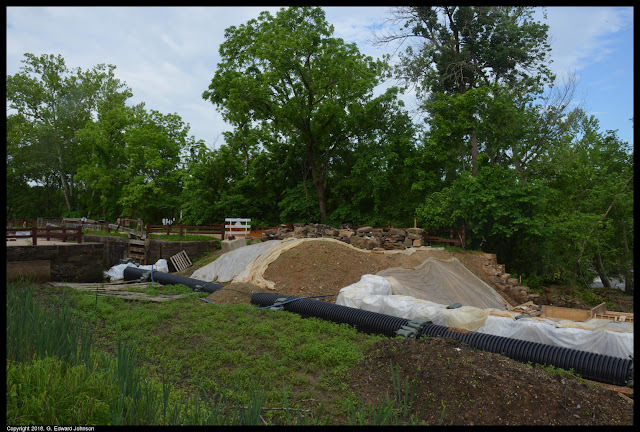 There is a structure here where water can be diverted from the canal back into the Potomac river, they have totally torn it out and are rebuilding it. Looking south at the lock by Great Falls Tavern. The black plastic pipe carries the water in the canal past the construction. Looking north, you can see the gravel dam at the top of the picture which the construction vehicles use to cross onto the tow path. Peyond that you can barly see the white of the dam that actually blocks the water and that visitors can use to cross back onto the tow path. 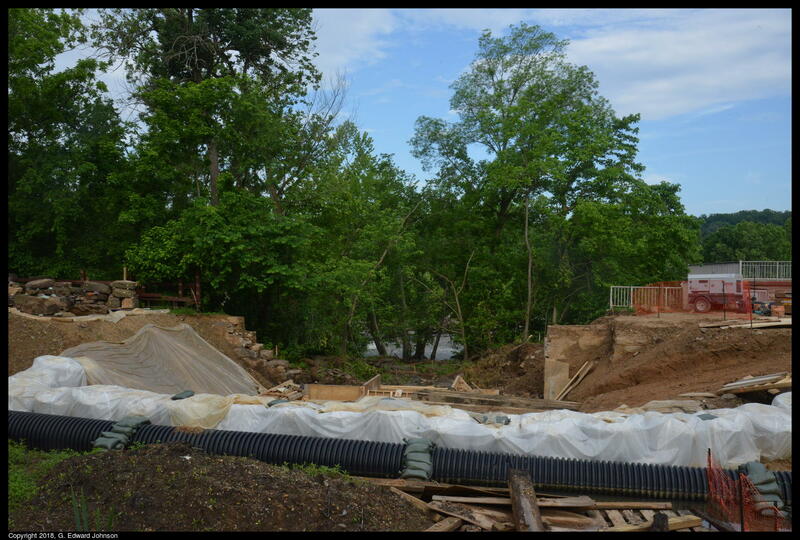 South of the construction zone, this is where you have to leave the tow path and cross over the bridge to continue north along the canal. 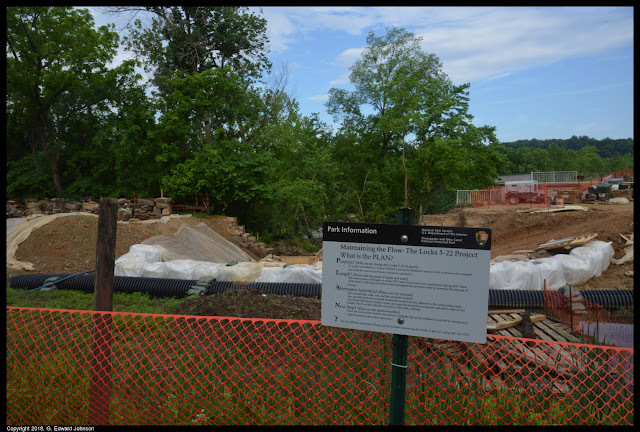 Unrelated to the construction, but important if you plan to visit in the next few days, the Billy Goat trail is closed because of high water. 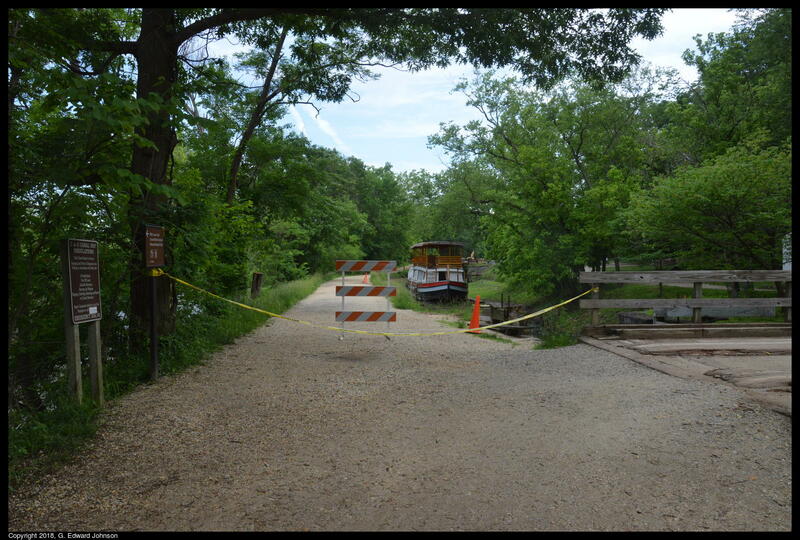 Olmstead Island is open and is a great place to see the river during high water. The winds today are very strong, gusting above 60 mph. This amount of wind inevitably causes some trees to fall over. 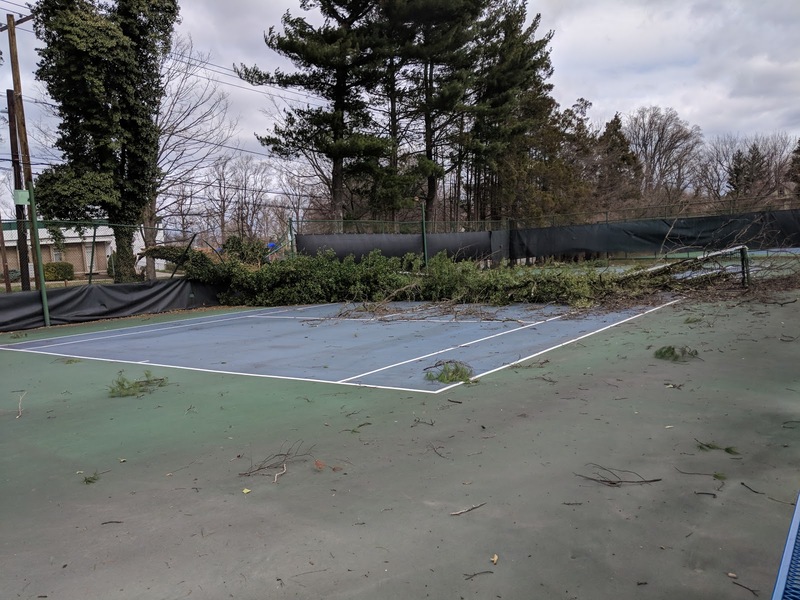 No one is playing tennis at the Bethesda Chevy Chase YMCA today, part of a tree fell across one of the courts. I also saw (but didn't get a picture) that a tree had fallen across Fernwood Rd this morning. 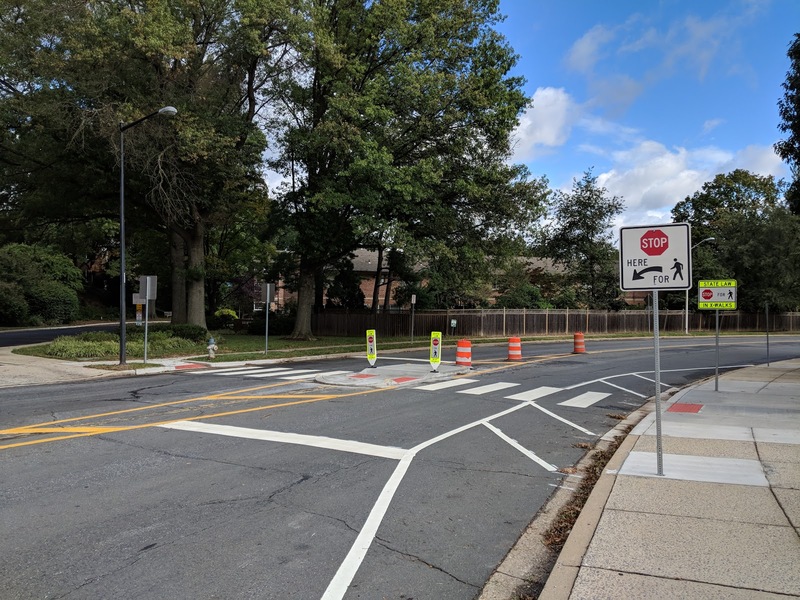 It is all cut up and moved to the side so it doesn't slow traffic down. 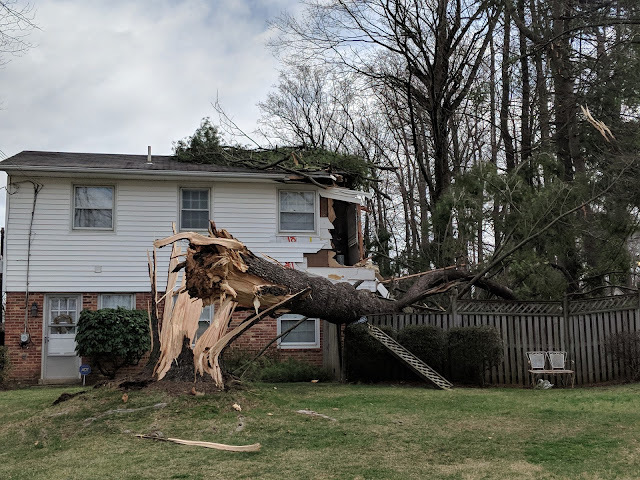 More disturbingly, the corner of this house was taken off by a large tree that fell down. I hope everything works out for them because it is some significant damage.